As well as the projects listed here GMAC Internet Solutions has developed custom software for job quoting, magazine publishing, advertisement and banner management, remote timesheet entry, automated company registrations with ASIC, drug and patient tracking, and many, many others. Read testimonials from NHP Electrical Engineering and Quest Payment Systems to get an idea of the quality that has been delivered over a very long period of time. MyDNA had a major advertising and media promotion planned but their WordPress website was failing when placed under the traffic load generated by TV spots on shows such as A Current Affair. Using the experience gained from setting up GMAC Hosting, I was able to modify the WordPress install/template that was running on Amazon Web Services, and set up Cloudflare to deliver a distributed cached version of the website. This meant that the national advertising could continue without interruption and hundreds of thousands of potential customers were able to access the website without slowdown or drop-outs. I have also converted graphic designs for website applications into HTML/CSS that can be integrated by the myDNA team of Angular developers. Strong experience in both front end and back end development helped build the bridge between the design and software ends of the myDNA projects. We created a website to track the results of esports tournaments in Australia and NZ to select the best overall player in 3 fighting games. I contracted to Honda MPE to develop software to collect information about motorcycle sales in areas of Australia for the past decade and predict what service ratios each dealer should be achieving. This is compared to service data submitted by dealers from multiple sources to determine a cover ratio and then summarised in reports that are sent to the global Honda Motorcycles head office. Other contract work involves tightening up Honda MPE's internal reporting systems and how their data is used. In August 2012 GMAC Internet Solutions prepared a Social Media Strategy for Honda MPE. In the following three months the Honda Motorcycles facebook page went from 16,487 to 30,758 likes - an 87% increase - and their number of Twitter followers has gone from 1,569 to 2,562- a 63% increase. No black hat methods, payments or autofollows have been used. The numbers are still climbing. GMAC Internet Solutions also assists Honda MPE on miscellaneous projects where a skilled troubleshooter is required. Videogames, internet and culture. Every Wednesday night 9:30pm C31 Melbourne. GMAC Internet Solutions created the software for Quest Payment Systems to monitor and control remote, unmanned, widely distributed fuel pumping terminals from a central location in Melbourne. 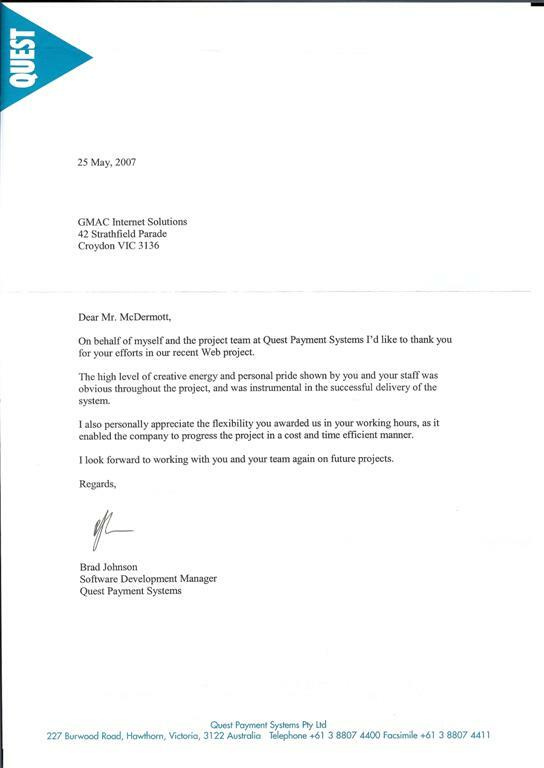 The project, designed and written by GMAC Internet Solutions, dramatically reduced the amount of money spent by Quest Payment Systems on supporting and identifying problems with the terminals. Footy Rocks is our very own AFL-based dreamteam competition that has been running for over 20 years. Unlike other dreamteams we don't muck about with player values and salary caps. We keep it simple yet challenging. Each week you simply pick a team of players IN POSITION. Pick anybody you want but you can only have one full forward, two wings, one ruck, and so on just like a real AFL team. Each player gets points for kicks, marks, goals and other stats which we add up to tell you your team's score at the end of the round. SustainaPac assists clients with conducting packaging environmental assessments. GMAC Internet Solutions developed an on-line packaging assessment database for SustainaPac. This allows them to assess the environmental impact of packaging used in Australia's largest supermarket chains then publish those via an extranet. It's a very complex ASP.NET project with an enormous database. GMAC Internet Solutions provided contract staff for web-based projects and development of a comprehensive Internet strategy for NHP Electrical Engineering. After rescuing an out-of-control project to put over 25,000 products onto an on-line catalogue and ordering system, GMAC Internet Solutions then helped plan, design, and implement a long term, successful web strategy. This included the main website, dedicated marketing mini sites, on-line supply chain support, and internal process improvements delivered via an intranet. GMAC Internet Solutions developed the website to launch their Navigator product into the Hong Kong market and support its members and advisers online. When Norwich Union sponsored the Navigator Dash yacht race, GMACIS developed a site with real-time race updates and positions. GMACIS has developed a large library of projects for GMHBA Member Services. These include a dedicated Policy & Procedure intranet application, an online health assessment, and intranet-delivered reporting on member data. GMACIS developed a provider portal that allows medicare schedules to be generated in PDF format via a login on the GMHBA website. This resulted in an enormous cost saving by reducing the amount of schedules that required printing and mailing via post. Educated Choice was an internet start-up devoted to helping parents find the right school for their children. Parents would fill in a questionaire covering 10 major psychological and emotional aspects and the results of that would be used to recommend programs and facilities that parents should look for when choosing a school. The questions were developed by a leading child psychologist with many years of experience dealing with children in school environments. WillMatters WillRegistry was an online repository where you can register a will and find a will. WillMatters WillRegistry didn't actually hold the original physical document. It held the essential informatrion about where to find a will registered there. This let anyone undertaking a search know where to go to find a Will that may have become lost. GMAC Internet Solutions developed the underlying software that was used to enter, store and retreive will details.